Episode Five of cult director Eddie Wozniak’s hot new cable show American Kaiju airs tonight! This time around Glenn Manning, the 60-ft tall Colossal Man, will spar with another famous “big bug” from the 1950s. The Colossal Man’s foe in tonight’s episode will be the 200-ft long praying mantis from the 1957 film The Deadly Mantis. 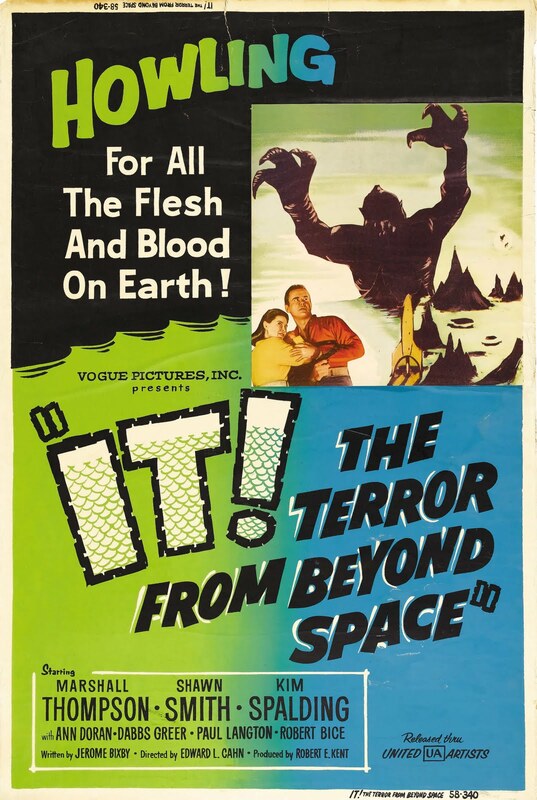 The enormous prehistoric creature thaws out in northern Canada and goes on a destructive rampage. Balladeer’s Blog continues its annual look at various versions of the Dickens classic A Christmas Carol! This particular item will examine episodes of television shows where the Carol was adapted to incorporate the program’s regular cast of characters. Comment: Mr Carlson (Gordon Jump), the station owner, is the Scrooge stand-in in this fairly good sitcom version of the Carol. DEFENDING CHAMPS SURVIVE – The SOUTHERN OREGON UNIVERSITY RAIDERS – the defending champions of NAIA football – traveled to face the BAKER UNIVERSITY WILDCATS in this 2nd Round game. A 7-0 1st Quarter lead for the Raiders became a 14-10 Halftime advantage. The 3rd Quarter ended with Southern Oregon up 21-13 and from there the champs held on to win the game 24-19. Balladeer’s Blog concludes its examination of this epic myth of the Nyanga people. The lightning god Nkuba looked down from the sky and prepared to attack the semidivine hero Mwindo in order to avenge his (Nkuba’s) friend, the monster Kirimu. That seven- headed creature had been slain, cooked and served as a meal by Chief Mwindo for killing three of his devoted corps of Pygmies. The NAIA’s XAVIER (LA) UNIVERSITY GOLD RUSH have played and defeated FOUR basketball teams from NCAA Division Two so far this season. Balladeer’s Blog’s 6th annual Christmas Carol-A- Thon begins with this little item I’m doing as a reader request. 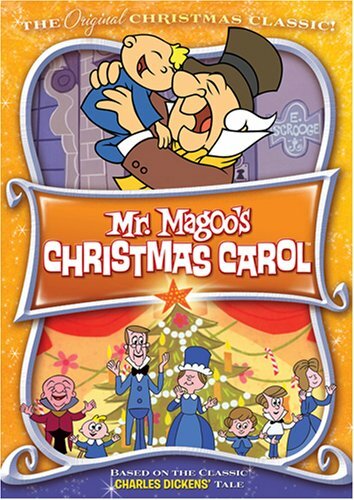 I had thought that Mr Magoo’s Christmas Carol was way too mainstream and well-known for me to review but I’ve been told it’s fallen off the radar for most people so here we go!